How do I disable 3rd party add-ins? 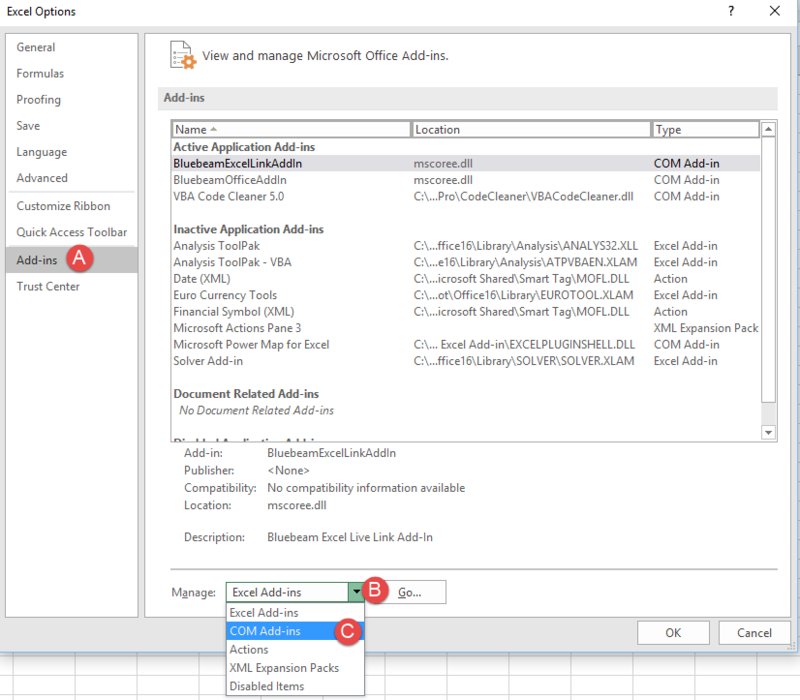 In the Excel Options panel click “Add-Ins” (A). Go down to the “Manage” drop down (B), select “COM Add-ins” (C), and click “Go…”. Uncheck the add-ins as recommended by the 14Fathoms message box to disable them and click “OK”. Important: After clicking “OK” close Excel completely and reopen it. Reopen the 14Fathoms product, enable macros, and use the file.